Cibor has established a building pathology department because not all water damage in buildings can be attributed to leaks in water pipes; it can often be caused by construction issues. We use all sorts of innovative techniques to identify defects in building structures (roof and/or outside wall) without performing demolition work. Our teams perform work that is both preventive (= checking whether there are defects before damage occurs) and curative (= identifying the cause of water damage). Our aim is to provide objective and high quality information so you can avoid serious damage or (legal) conflicts. However, we do not merely offer our opinion. We always attempt to demonstrate the causes of damage or faults via trial and error. We can assist loss adjusters from insurance companies, legal experts, etc. when performing objective investigations and will clearly document all results. Does your building appear to have faults? Then let Cibor investigate them. Cibor likes to use the most recent and proven technologies. This allows us to provide the most reliable and accurate results. Thermal imaging cameras to trace thermal bridges, draught problems or leaks. Blower door technology to perform accurate air-tightness checks. Endoscopic equipment to inspect inaccessible spaces. 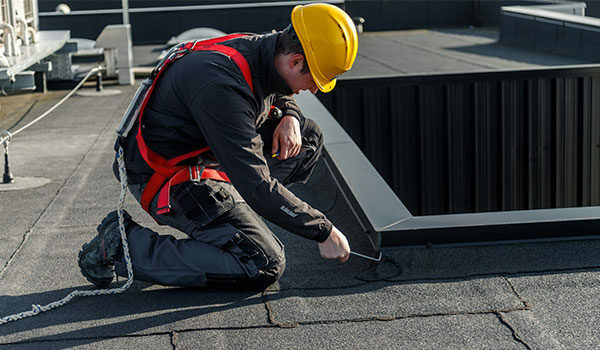 Inductive pulsed current procedure and high frequency techniques for roof sealing checks and leak detection. Sewer cameras to inspect drains or sewers. Gas detectors to detect gas leaks. Acoustic equipment to detect leaks in pipes. Probes and locators to identify faults in drains. Do you have specific problems or would you like a preventive investigation carried out? Then discuss your needs with one of our experts on 014 570 330 or send us an email.